On a regular morning in October, 2016, a policeman was shot in the head with machine gun in Bőny, a small settlement approximately 120 km from the capital, Budapest. The suspect of the case is the emblematic figure of the Hungarian far-right and neo-Nazi subculture, István Győrkös. Győrkös himself was seriously injured during the clash when a bullet from the back left through his stomach as the police stormed his house in search of an illegal firearms. Győrkös (76) denies that he shot the policeman and is currently awaiting trial in pre-trial detention. 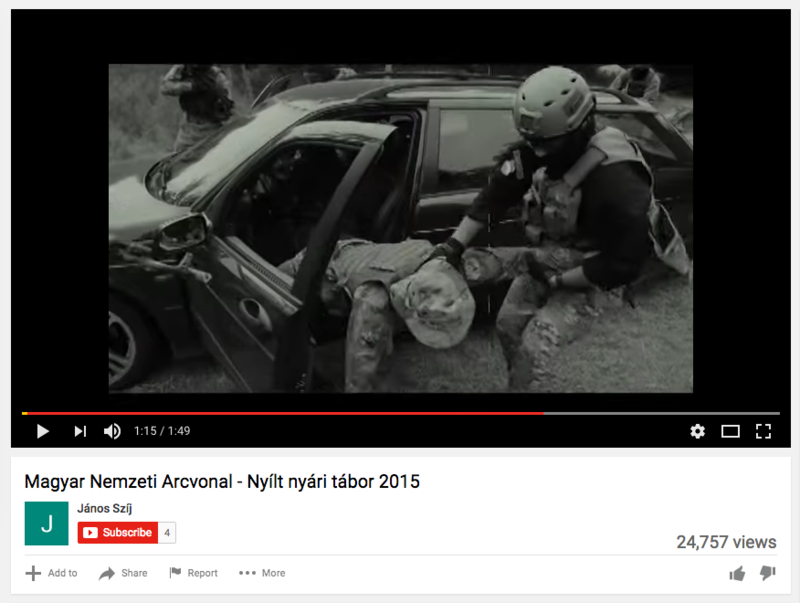 After the controversial and unfinished investigation, news website’s Index.hu national security sources revealed that individuals from Russian military intelligence (GRU) and Russian diplomats had regularly been present at Győrkös organised “military drills” and “practice sessions” of airsoft trainings even before the Russian-Ukrainian conflict. Hungarian secret services had known about this for a while. 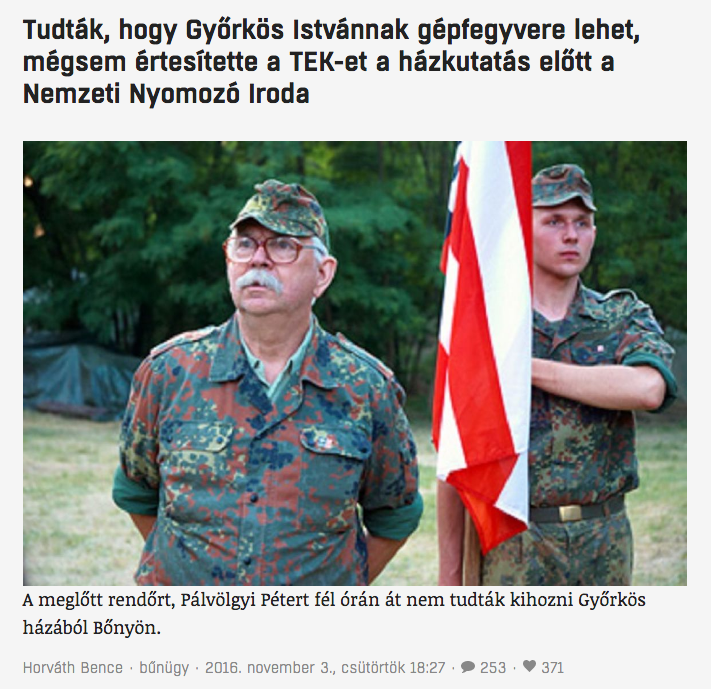 Moreover, Hungarian authorities also knew about German neo-Nazis participating in the exact same “drills” back in 2009 at Győrkös’s house in Bőny, although the far-right leader denies these claims as well. 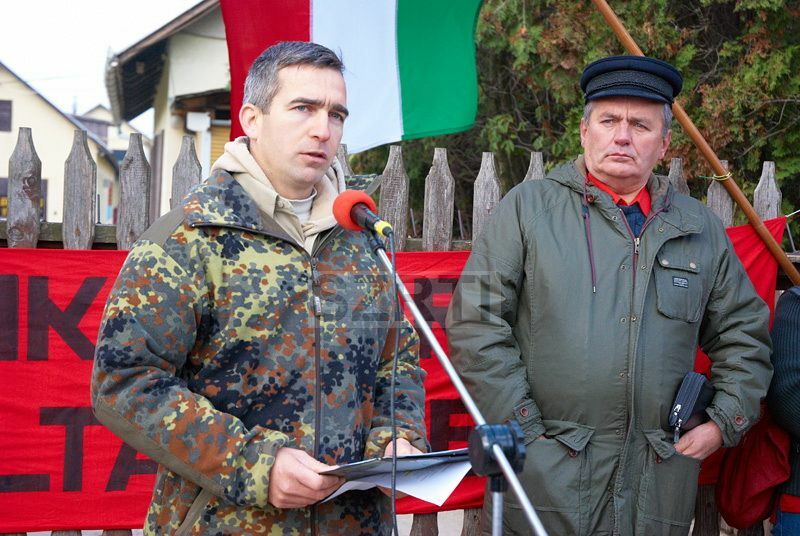 The absurdity – the neo-Nazis and official fighters against fascism in the same drills – is emblematic of how Kremlin’s propaganda is dispersed in Hungary. Both far right and far left find parts of it appealing and their marginal websites work as the multiplicators. However, the popularity of pro-Kremlin websites is declining. It is not only brought about by the lack of new developments to write about. The responsibility for the dissemination of such content and fake news has gradually been overtaken by pro-government media and tabloids. Győrkös has been a key figure of the Hungarian neo-Nazi and extreme nationalist movement since the end of the 1980s. In 1989, he founded political group which was sued for disseminating neo-Nazi ideology, and later rebranded it as the Hungarian National Front (MNA) in 1992. This organisation and specifically the younger István Győrkös, son of Győrkös, launched the Hidfo.net website on October, 2012. “Hídfő” in Hungarian means bridgehead, a strategic point at the entry of a bridge with military importance. Not many noticed the site until August 2014, when the Russian Foreign Ministry accused Hungary of transporting T-72 tanks to Ukraine. 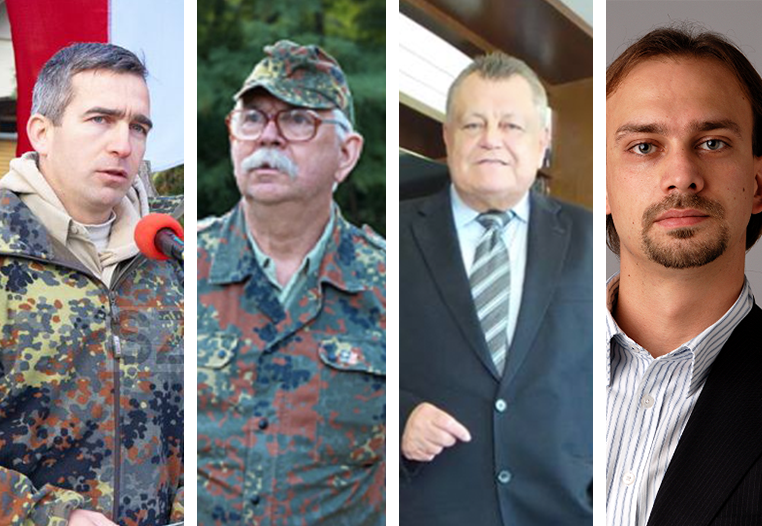 To prove the claim Russia’s diplomats supplemented their claims with supposed readers’ pictures, which Hungarian media discovered were sourced from the Hidfo.net website. The photos showed a train allegedly heading for the border crossing at Záhony packed with T-72 tanks and other armoured vehicles parking at a train station. It was claimed that the photo was taken at a train station in Nyíregyháza, the closest relatively large city to the Ukrainian border. In reality the armoured vehicles were intended for sale to a Czech company, Excalibur Defense. The message was clear: Russia is ready to use active measures to discourage the Hungarian government from taking on any role in the conflict on the side of Ukraine. According to the Whois domain search engine, the website was transferred to the Russian domain Hidfo.ru on April 22, 2015 but it was probably under the control of Russian secret services already. While Western Europe only started familiarising itself with the existence and influence of pro-Kremlin propaganda in the past years, in Hungary it has been present at least as part of the PR campaign around the agreement on the Russian-financed expansion of the Paks 2 nuclear power plant in early 2014. Hungarian Political Capital Institute warned about the developing ties between the Kremlin and Hungarian far-right movements, and especially radical nationalist opposition party Jobbik, in late 2009. The Jobbik-Russia relationship was highlighted by the spying scandal of the party’s MEP Béla Kovács, who is accused of espionage against EU institutions on behalf of Russia since 2014 (the investigation is still ongoing). 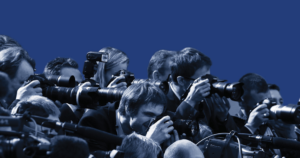 The Political Capital Institute also published a long study on the pro-Russian turn of the Hungarian far-right and subcultural media, the pro-Russian attitudes of far-left websites and the propaganda’s presence in pro-government media. The uncompromisingly pro-Russian Hídfő, which is read monthly by 130 – 190,000 people, is the best known among sites with a similar profile. According to an investigation by Vs.hu, in early 2016 there were almost 90 Hungarian-language websites and blogs where articles supporting Russian foreign and economic policy objectives were published regularly, often in the form of fake news (they did not investigate Facebook pages). The number of these online portals skyrocketed in 2015. 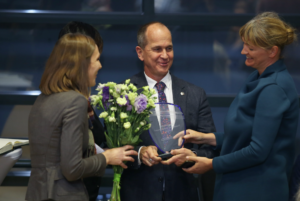 The sites were focused on three general topics: the expansion of the “Paks” plant, the Ukraine-Russia conflict and the European migration crisis. Most of these websites are classic “click-baits”; they offer fake news and misinformation on refugees besides sensationalist tabloid stories and conspiracy theories. However, among them are sites that have ties to Hungarian far-right movements. The Orientalista.hu blog focuses on the Middle East, but it also publishes pro-Putin articles. It was registered under the name ‘István’ by Syrian-Hungarian citizen Kassab Adonis Habib. Based on his profile written by Atlatszo.hu, 36-year-old Kassab Adonis joined Jobbik after the elections in 2006. For a while he was also a member of the party’s paramilitary wing, Hungarian Guard. After Kassab Adonis left the party in 2012 due to an internal rivalry, he registered Orientalista.hu on September, 2013 in Budapest at a domain provider called Docler, but claimed that he was not the founder and the site was run by several individuals as “community service”. Orientalista.hu organised an event entitled Action supporting Hungarian-Russian friendship/Anti-Maidan Budapest on the day of Vladimir Putin’s visit to Budapest on February 17, 2015, but the pro-Putin demonstration was ultimately cancelled. 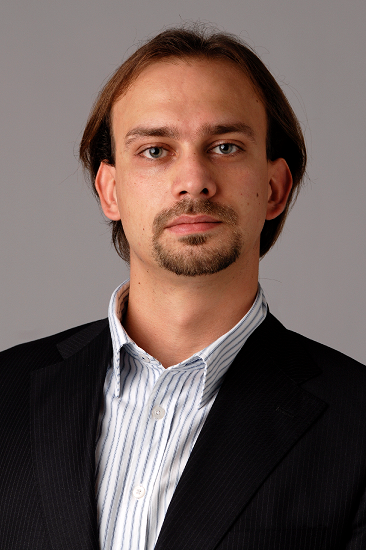 The founder of the websites Netceleb, Netextra and Civil Kontroll, Attila Navratil was also a member of Jobbik and the chairman of the party’s national security cabinet until the summer of 2010. Besides anti-refugee content, his sites feature the traditional “questions of the protection of the Hungarian race” as well as neo-Nazi occultism and the typical examples of conspiracy theories. Interestingly, a closer look at Győrkös’s neo-Nazi movement or the pro-Putin disposition of Kassab reveals ties to the far-left. MNA and its president, the younger Győrkös who registered Hídfő, held a joint protest in 2012 against an eviction of the Hungarian Communist Workers’ Party and its ever so pro-Russian president, Gyula Thürmer. 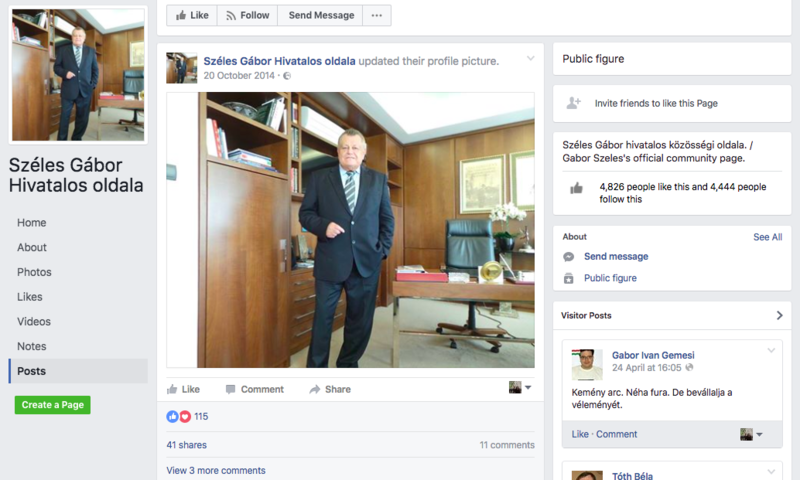 Both of Thürmer’s children work for the pro-government newspaper Magyar Hírlap which is owned by businessman Gábor Széles, a man known for sharing pro-Putin and anti-migrant fake news on Facebook. One of them, Gyula Máté (Thürmer) is a foreign policy commentator whose preferred topics include pro-Trump policies, lashing against EU and especially Angela Merkel’s refugee policy, and being sympathetic to Russia. Thürmer’s daughter, Mariann Őry (Thürmer) is the head of the paper’s foreign affairs desk. In addition, she was the Kremlin’s RT Hungarian expert on the refugee issue. Moreover, Őry held a presentation on October 29, 2016, at the Europa Forum in Linz, a congress for Austrian and German pro-Kremlin parties and groups. 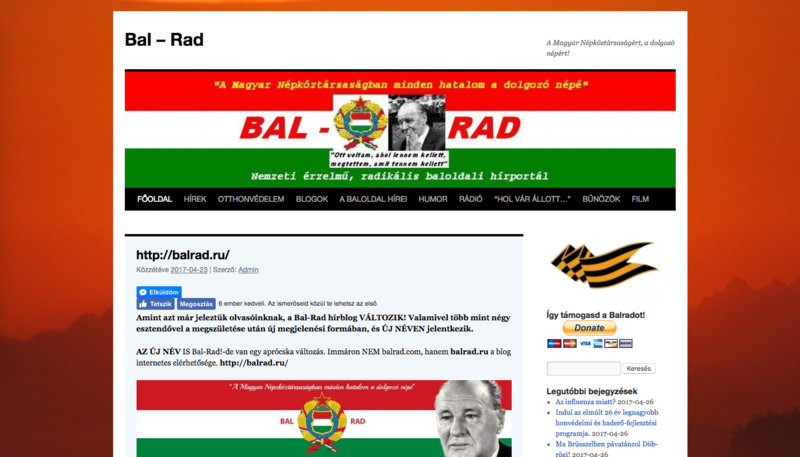 Kassab’s anti-Maidan protest was also promoted by the far-left Bal-Rad site. Putin was an object of admiration of the leftist websites well before 2010, but around the announcement of the Russian loan-financed expansion of the Paks nuclear plant, astroturfing and lobbying websites were created. Among them, Atomenergiainfo.hu promoted the wider aspects of nuclear energy and Russian nuclear developments, focusing on the interests of Gazprom and Rosatom. It has always been open about it. One of the owners of the site was György Szitár-Csanádi, whose father was CEO of Rosatom-owned company. After the eruption of the Russia-Ukraine conflict in 2014, Rapidpress.info was launched: an important website, which sent newsletters to readers without asking for their permission. As the conflict abated, the website ceased it’s operations in December 2016.